While it certainly may seem like a daunting process, documentation and record keeping is an important part of maintaining a healthy and successful business. What kind of records should my business be keeping? 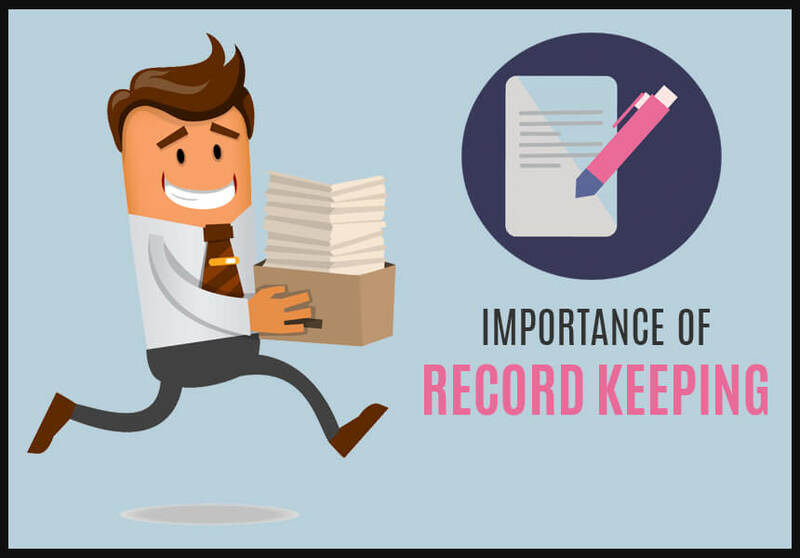 There are many different kinds of records that your business can keep in order to have adequate documentation of the happenings within the office. The first kind of documents to be diligent in keeping are employee files. For example, it is most convenient to keep track of employee performance throughout their tenure. Along those lines, you want to keep concise documentation of any employees that have required verbal or written warnings as well as disciplinary action. Having these occurrences filed away will prove to be helpful should you ever need to fire a particular worker. The absence of such documentation could result in the employee accusing you of wrongful termination, and without past documentation of performance or behavioral problems, it would be difficult to prove that accusation wrong. Along the same vein as recording performance issues is the idea of keeping track of employee attendance. This includes absences and tardiness. Having a well-documented record of the unexpected absences of employees as well as any instances where they are tardy for their work day or shift can paint an interesting picture of the reliability of each employee and is very useful to have on file. Employment offer letters that included agreed upon compensation and bonus structure, any signed paperwork such as nondisclosure agreements, human resource forms such as I-9’s and W4’s, and background check forms. These are good to have on file for a myriad of reasons, especially if your company was ever unexpectedly audited. Another useful item to have documented for your business is a catalog of job descriptions. These will ideally include an in-depth account of what responsibilities and duties each individual role within your company accounts for. Job descriptions for each job title held at your company are imperative because without them, it is difficult to hold employees accountable to the standards that their job and your business demands. Having these written in a clear-cut way and having an employee attest to the fact that they are in agreement with the description and what their job entails protects a company against issues that could arise from claims that an individual is not fulfilling the terms of their employment. While it is a side of business that is not pleasant to think about, unfortunately employers must protect themselves against the risk of being accused of wrongful termination in the event of firing an employee. The last type of record that is useful to track that we would like to mention is employee hours. Holding employees accountable for recording their hours on a timesheet is absolutely vital to ensure that your company can defend itself against wage claims that may arise. This is simple enough to do on the employee’s end and is something that you will be thankful for if the need ever crops up in the course of running your business. How can a PEO help with record keeping and documentation? Now that you’ve learned about record keeping in conjunction with how it can help your business and the reasoning behind it, you’re probably wondering how a PEO can help facilitate this for your business. – a PEO makes what seems to be a daunting and almost impossible task simple and free of stress. PEOs have the training, experience, and resources to help companies put procedures and processes in place that enhance their business as well as the work life of their employees. Additionally – and most importantly – having robust internal documentation and records mitigates many risks that companies devoid of these important records are vulnerable to. A PEO can work with your company to determine not only what types of records are best for your needs but furthermore what the best and most simple processes work for you to keep them as accurate as possible with the minimal amount of work on your end.